Spanish cuisine is recognized internationally, its innovative restaurants are among the best on the international gastronomic scene. Three out of the top ten best restaurants in the world are from Spain, according to Time Magazine. From North to South, each of its regions has its typical dishes and special ways of cooking. There are many tasty dishes, with different recipes and varied cuisine, although sharing fresh and top quality ingredients. For centuries meat, fish and vegetables have given rise to exquisite dishes. Let´s go down to the sunny and colorful lands of Marbella, there are three Michelin Guide starred restaurants in Marbella: Dani Garcia restaurant Bibo, El Lago Marbella and Skina. In those reputed restaurants you will definitely taste high class international cuisine. Although in this occasion we want to focus on a selection of delicious dishes that you can not miss in this year 2017 that has just begun. 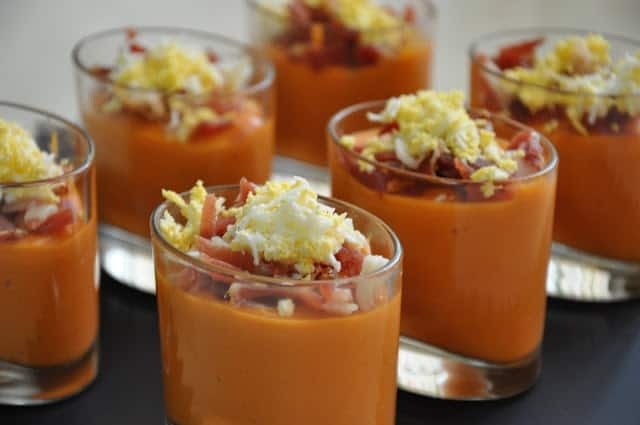 A fabulous thick cream that is served cold, thicker than Gazpacho, another typical Andalusian dish. Salmorejo is made from tomatoes, bread, garlic and extra virgin olive oil. It is normally prepared by grinding the ingredients together thoroughly to make a smooth mixture. To give it an even more special taste, this dish is often served with ham chunks and chopped hard-boiled egg. It can be taken as both first course and an appetizer before the main course. Paella Valenciana: white rice, vegetables, rabbit and chicken meat, beans, saffron, spices and peppers. Seafood Paella: is mainly made out of rice, seafood, onion, tomatoes and saffron. Paella Mixta: as its very name indicates it is actually a mix of the other two. It is made of rice, seafood, chicken, tomatoes, peppers, vegetables, olive oil and saffron. In Marbella you can find these 3 varieties although we recommend you to try seafood paella made with great local products. 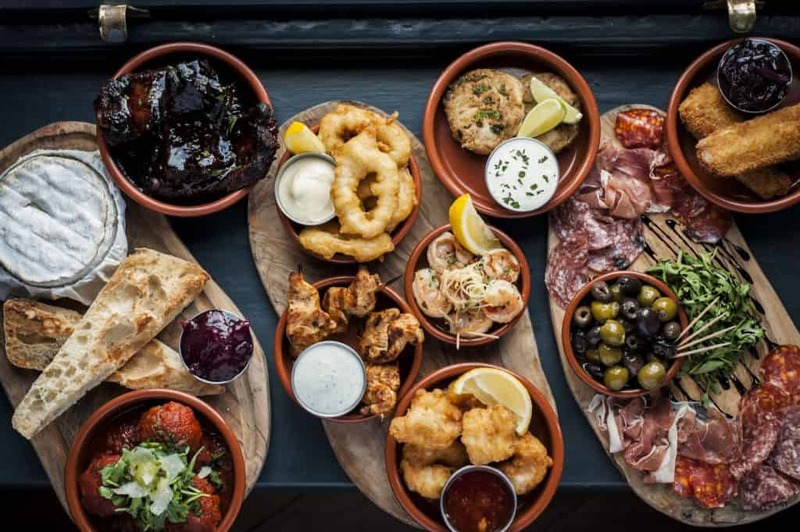 Surely if you have previously visited Spain will have had the opportunity to enjoy their delectable tapas. Tapas culture can be experienced all over Spain and its variety of tastes is astonishing. 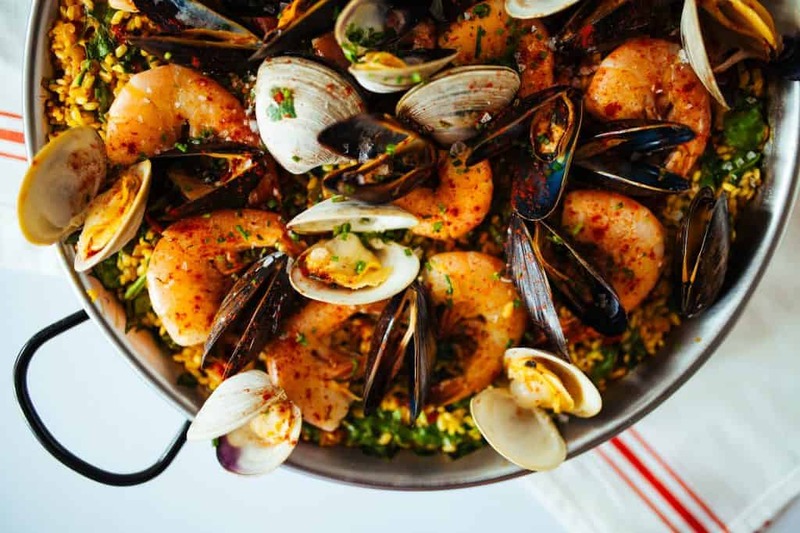 When going out for dinner in Marbella, some of the most exquisite tapas in Marbella are: cold garlic soup (Ajoblanco), fried squid, grilled prawns, spanish omelette, anchovies marinated in vinegar, fried fish Malaga style and spanish potato salad. Please, have a sit in a restaurant terrace into Marbella old town´s cobbled streets and enjoy any of those delicious tapas. Marbella is filled with a multitude of excellent and varied restaurants, so pick any restaurant you find interesting and enjoy them to the fullest. We are going to talk here about “espeto” this word means to skewer. 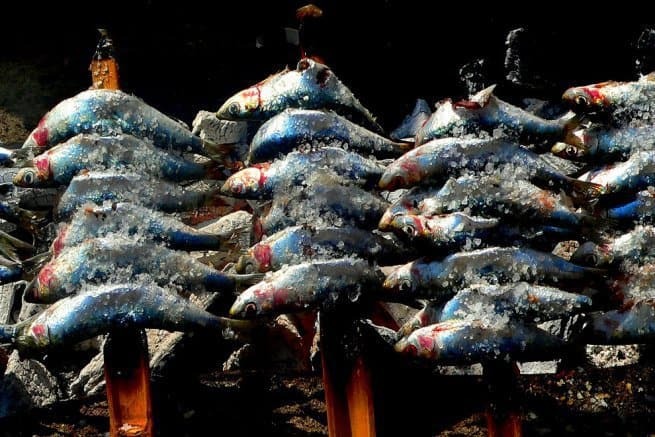 This Malaga’s speciality is originally made of skewed sardines that are grilled over an open flame which is prepared on a fisherman boat, a way of maintaining this ancient tradition, as back in the times when fishermen used to grilled them after coming back from the sea. You will see that most of restaurants in Marbella offer this fantastic food, which are rich in various nutrients and are an excellent source of vitamin B12 and omega 3. To tell you a secret about why this little fish is so tasty, chefs say that it is because you have to maintain them in ice water just before you start cooking them. Octopus, squid and bream are other grilled food that you may enjoy in Marbella. Here you have a selection of local Mediterranean seafood. 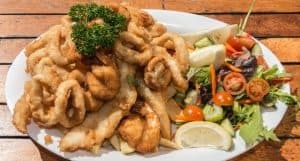 Fried fish – “pescadito frito” is mainly a mixed of small squid, prawns, anchovies, red mullets and hake. It is fried with fine flour by dipping the fish in clean and hot olive oil for few seconds, without letting it get too grassy. This Andalusian delicacies are usually served with salad and slices of fresh lemon on the side.